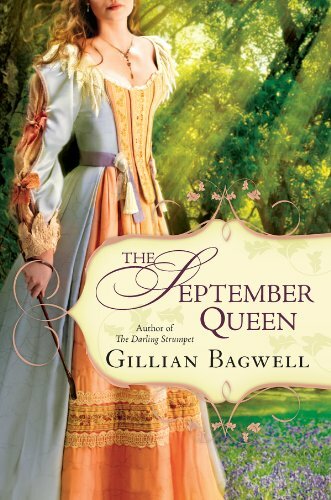 My guest today is Gillian Bagwell whose richly detailed historical novels bring to vivid life England in the sixteenth and seventeenth centuries. 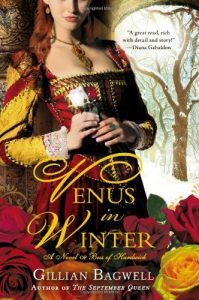 Her latest book, Venus in Winter, is based on the first forty years of the life of the formidable four-times widowed dynast Bess of Hardwick who survived the turbulent reigns of five Tudor monarchs to become one of the most powerful women in the history of England. 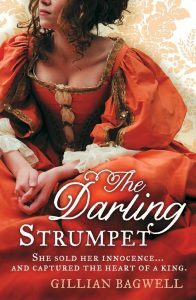 In The Darling Strumpet Nell Gwynn’s meteoric rise is charted from the grimy slums to triumph as a beloved comic actress in the licentious court of King Charles II while The September Queen(U.K. title The King’s Mistress) is the first fictional account of the extraordinary life of Jane Lane, who risked all to help the young Charles II escape after the disastrous Battle of Worcester. 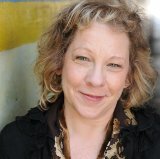 In addition to her novels, Gillian also uses her years of experience in theatre as an actress, director, and producer to help authors give effective public readings, through workshops and private coaching. Who/what inspired you to first write? I’ve always loved reading, and I started writing bits of things here and there when I was about twelve or so. Both of my parents have done some writing, so it never seemed like an impossible goal. But my original professional focus was theatre, and it wasn’t until about seven years ago that I turned seriously to writing. In looking around for a subject for my third historical novel, I wanted someone who hadn’t been written about so much that it would be hard to find an original way to tell her story. Writing about compelling historical events and periods frequently means writing about the lives of queens and royal mistresses, who were involved in the events or at least in a position to observe them happening, but it’s great to find a heroine who isn’t a queen or mistress. 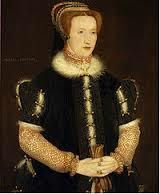 I had heard of Bess of Hardwick but didn’t know a lot about her. A very little reading showed that she had led a very interesting life, and also that she was overdue for a novel of her own. Particular theme you wish to explore in this book? When I write I aim to tell a story that readers will find engaging rather than explore a theme. But inevitably, the circumstances of a character’s life leads to a novel having themes. Bess was married and widowed four times, rose from genteel poverty to become the most wealthy and powerful woman after Queen Elizabeth I, and survived the turbulent and dangerous reigns of five monarchs, so the issues of marriage, rising in society, self-preservation in treacherous times, and the desire to leave her mark on the world are important to her story. I’m particularly interested in Britain in the sixteenth and seventeenth-centuries, the periods in which my three books are set. A lot of interesting things were happening. In the sixteenth century, the full flowering of the Renaissance was happening in England. Professional theatre developed during the second half of the sixteenth century, with the advent of the companies of players sponsored by the monarch, and the construction of the playhouses that presented the works of Shakespeare, Marlowe, Jonson, Middleton, Ford, Beaumont & Fletcher, and so on. The theatres were closed under Cromwell, from 1642 to 1660, but when Charles II was restored to the throne, he very quickly authorized the theatres to open again, with women on stage for the first time, and over the period of about fifteen years, there were explosive developments in all aspects of theatre, taking production conditions from essentially Elizabethan to what remained largely unchanged until the end of the nineteenth century. The Tudor and Elizabethan courts were bustling with characters who have become iconic: Henry VIII and his wives, Elizabeth and her friends and favorites, and the men who made everything go, Cardinal Wolsey and Thomas Cromwell and William and Robert Cecil. Charles II has come down in legend as the Merry Monarch, but his reign was a lot more complicated than that, and he was enormously interested in all aspects of science and other issues of importance. And the people around him, especially the men, were much more rounded in their interests than people usually are now. It wasn’t a matter of being only a businessman or politician or artist or musician or athlete; people combined interest and accomplishments in many areas in their lives. The Duke of Buckingham was a politician, but also a poet and playwright, and he opened his own glassworks. Samuel Pepys was a tremendously effective administrator for the Royal Navy, but was also a musician, a writer, an avid partaker of all aspects of life, and a keen observer and recorder, fortunately for us. What resources do you use to research your books? Of course copious reading, always of biographies, histories, and books about all aspects of the period I’m writing about. I spent some time in England doing research for my first two books, which is great when it’s possible. Now there is so much information available online that it’s possible to do a lot of research without leaving home. My mother read to my sisters and me when we were growing up, and a lot of what she read and what I read on my own later was English and involved past times– Mary Poppins, The Wind in the Willows, The Wouldbegoods, the Narnia books, the Flambards series–so I developed a strong interest in England and in history. Shakespeare was an early influence in terms of my interest in language and in knowing how people in other times lived. I love Diana Gabaldon’s books, and her writing and her story have certainly been an inspiration to me. Patrick O’Brian’s Aubrey/Maturin series are so well written, and I always notice how deftly and economically he’s able to set a scene or give the tone of a conversation. He also does a great job of writing dialogue that is believable as how people spoke then without the language being distracting. What do you do if stuck for a word or phrase? Kerry Madden, a writing teacher who I admire, recommended The Synonym Finder by J.I. Rodale, saying that she had gone through a few copies of it. It is extremely useful and I turn to it when I need to find a different way to say something or can’t think of exactly the word I want. I’ve completely worn out the paperback I originally bought–the cover is completely gone–and fortunately I just found a used hardback copy that I hope will last a while. Is there a particular piece of art, photo, poetry or quote that strikes a chord with you? Why? I’ve spent so much time acting in, directing, and producing Shakespeare’s plays that lines from them are always bubbling to the surface of my mind and working themselves into my books. That was fine for The Darling Strumpet, because Nell Gwynn was working in theatre. And it was fine for The September Queen, because Jane Lane was educated and literate. In writing Venus in Winter, my novel about Bess of Hardwick, I had to be very careful not to let any Shakespearean quotes or allusions creep in, as the plays hadn’t yet been written by 1567, the date that the book ends. Two things: write and learn how to write. That may sound simplistic, but I think it’s important to just do it, rather than fretting that your work won’t be perfect. Of course it won’t; but you have to learn by doing. If you want to write a novel, don’t talk about it, write it. Find the time. Walter Mosely’s This Year You Write Your Novel has good advice, as does The Weekend Novelist.But at the same time, do everything you can to learn the craft and technique of writing. Learn about story structure, and writing in the active rather than the passive voice, and using muscular verbs rather than too many adverbs and adjectives, and strong dialogue. And grammar and punctuation and spelling! I’ve just written a synopsis and the first fifty or so pages of the novel that I’d like to write next. I don’t have a contract for it yet, so I won’t discuss it in detail. It’s quite a bit different from my first three books, but it does involve historical events and real people. You can connect with Gillian on Twitter , Facebook or on her website where you can find her many blogs. When Bess arrives at the glamorous court of King Henry VIII, she is thrust into a treacherous world of politics and intrigue, a world she must quickly learn to navigate. The gruesome fates of Henry’s wives convince Bess that marrying is a dangerous business. Even so, she finds the courage to wed not once, but four times. Bess outlives one husband, then another, securing her status as a woman of property. But it is when she is widowed a third time that she is left with a large fortune and even larger decisions—discovering that, for a woman of substance, the power and the possibilities are endless . .